Tandil fue una de las ciudades m? ?s bonitas que hemos visto en nuestro viaje. Nos gust?? que nos quedemos all?? m? ?s tiempo (5 noches) y la oportunidad de explorar la ciudad y conocernos con los Rotarios y las familias anfitrionas. Empezamos la visita con una conversaci? ?n abierta con el intendente en la municipalidad (foto). Aprendimos un poquito de la historia de la ciudad cuando visitamos la estancia de la familia Santa Marina. Durante el giro de la ciudad visitamos la iglesia, la Piedra Movediza, el Calvario, el castillo y un parque con un camino aer? ?bico y un lago (foto). La Piedra Movediza que vimos es una r? ?plica como el original cay?? en 1912. El Calvario fue especialmente muy impresionante como cada de las catorce Estaciones de la Cruz eran creado por una artista distinta y el bosque donde est? ?n es bien lindo. La vista de la ciudad del castillo fue muy impresionante tambi??n. Despu? ?s de un d? ?a aprendiendo de la ciudad, presentamos a una reuni? ?n de los 3 clubes de Tandil. El d? ?a siguiente consisto de visitas profesional por los miembros del equipo y el l??der. Otra vez fueron a todos lados y les gust?? el intercambio con profesionales. Despu? ?s, fuimos a conocer a la universidad y vimos donde los alumnos toman clases. En la noche uno de los Rotarios contrataron dos profesores de tango a darnos otra clase. Esta vez los profesores no nos ensenaron pasos, pero improvacion, que fue m? ?s f? ?cil para algunos de nosotros a seguir. El ? ?ltimo d? ?a en Tandil fue tan ocupado como los otros. Hablamos con alumnos de clases de ingles en un secundario. El equipo de Idaho dividi?? a varias aulas y los estudiantes nos preguntaron de nuestras impresiones de Argentina, de Idaho, la cultura de los EEUU y los impuestos que pagamos en los EEUU, etc. Fue fant??stico! Tambi? ?n conocimos un museo local donde est?? mucha de las cosas hist? ?ricas de Tandil (foto). En la noche nos reunimos con algunos socios de la C? ?mara de Empresarios y discutimos algunos diferencias entre ser due? ?os de un negocio en Argentina versus los EEUU. M? ?s tarde tuvimos la experiencia de la pasi? ?n los argentinos tienen por futbol como fuimos a cenar en una pena por el equipo de Boca. Las experiencias en Tandil contribuyo al viaje de Argentina y otra vez somos muy agradecidos a los Rotarios y las familias anfitrionas por su hospitalidad! 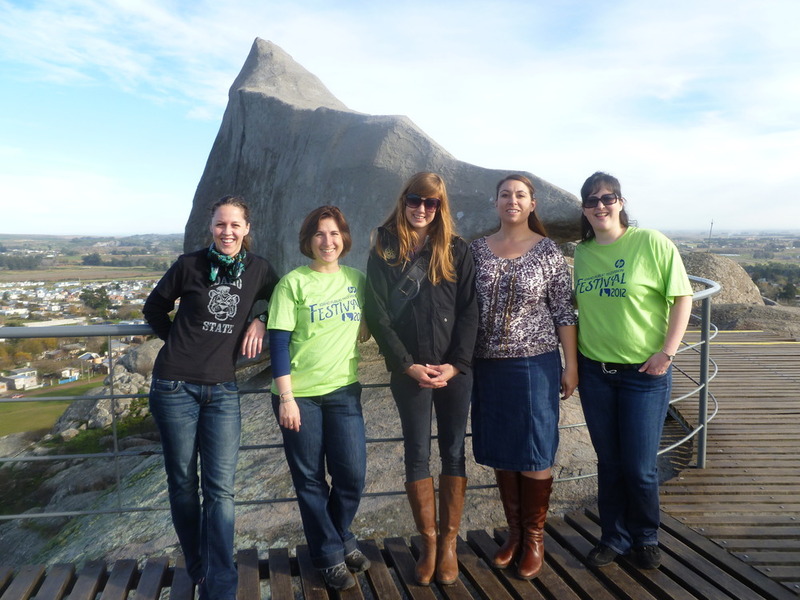 Tandil was definitely one of the prettiest cities on our trip. We enjoyed our longer stay (5 nights) and the opportunity to explore the city and become close with the Rotarians and our host families. We started off our visit with a candid conversation with the mayor at the town hall (photo). We also learned some of the history of the town as we visited the estancia of the Santa Marina family. During our city tour we visited the church, the Moving Rock, the Calvary, the castle and a park with a great walking path and lake (photos). The Moving Rock we visited is now just a replica, as the original fell in 1912. 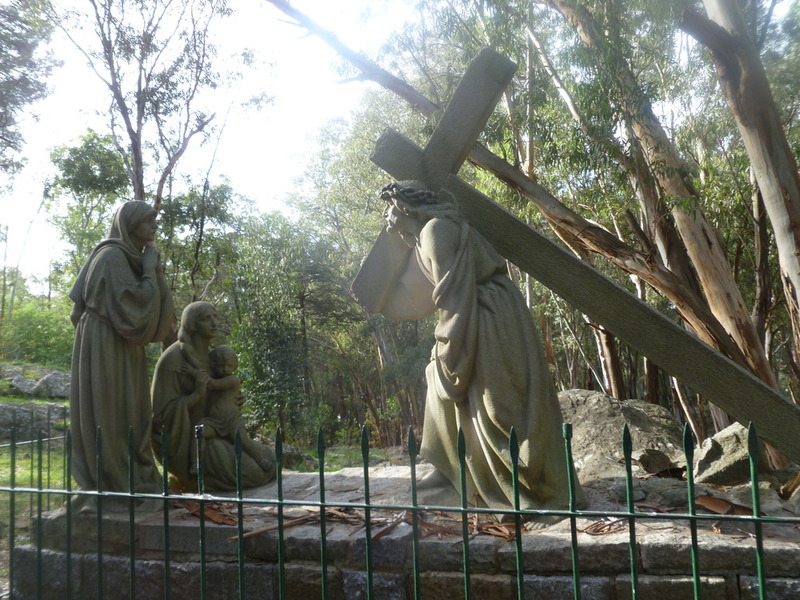 The Calvary was especially impressive as each of the fourteen Stations of the Cross was sculpted by a different artist and the setting of the Calvary is in a gorgeous forested area. The view of the city from the castle was impressive. After a day becoming familiar with the city we presented to a combined Rotary meeting of the 3 clubs in Tandil. The next day consisted of professional visits for the team members and leader. Once again everyone headed in different directions and enjoyed the exchange with fellow professionals. 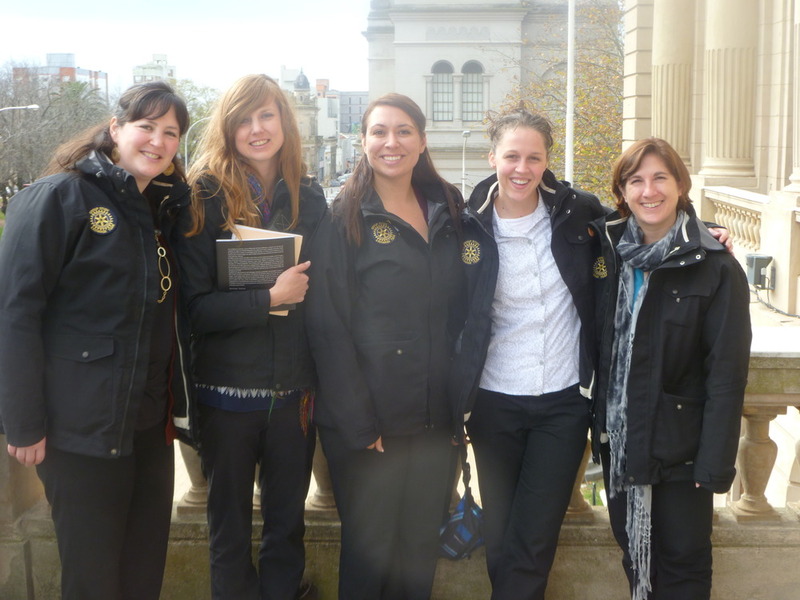 Additionally, we toured the local university campus and were able to see where the local students take their classes. In the evening one of the Rotarians contracted some tango instructors to give the team another class. This time the instructors didn?? ?t teach steps, but taught improvisation, which was easier for some of us to follow. 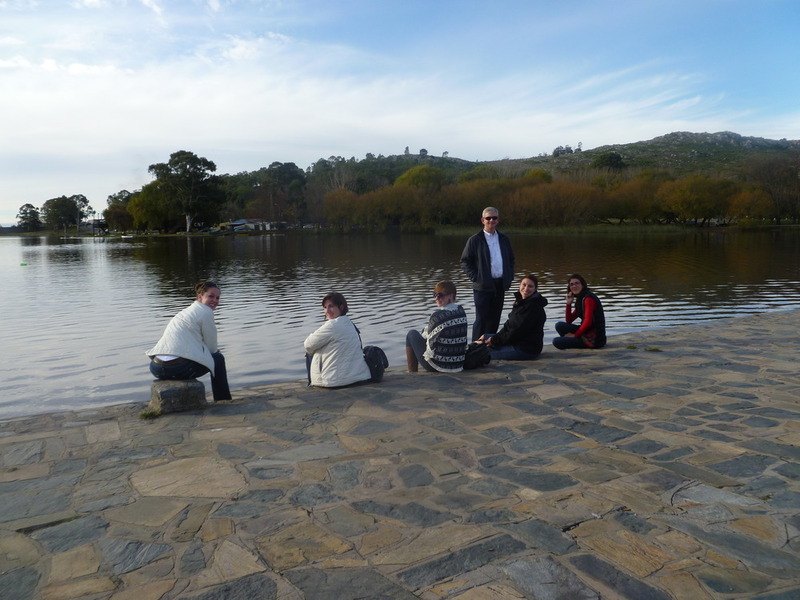 Our last full day in Tandil was just as busy as the others. We started off talking with English students at a local high school. The Idaho team spilt up among various classrooms and the kids challenged us with questions about our impressions of Argentina, asked about Idaho, American pop culture, the taxes we pay in the US, etc. It was great! 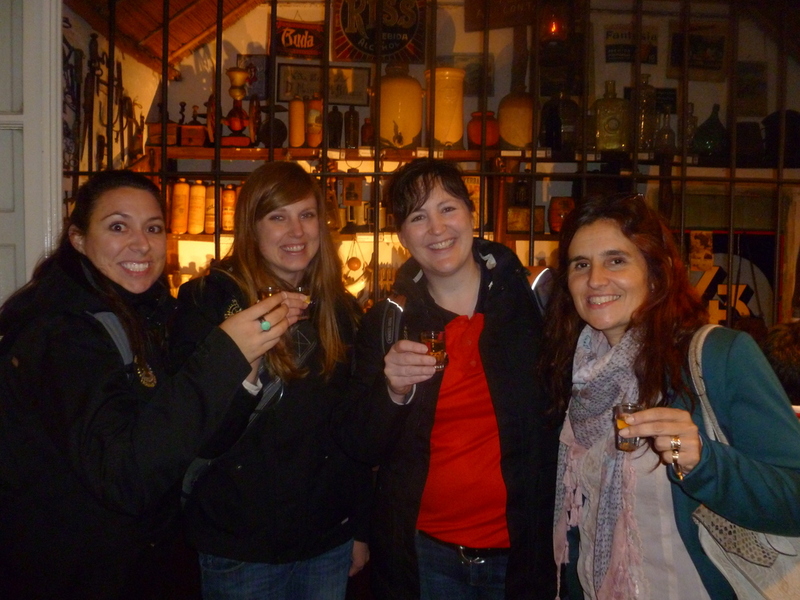 We also toured the local museum which houses much of the Tandil historical artifacts (photo). In the evening we met with several members of the local Chamber of Commerce and had a lively discussion about running businesses in the US versus Argentina. In the evening we experienced our first taste of the Argentine passion for soccer as we attended a pena dinner for the Boca soccer team. To describe it to Americans you could say it was like a booster club dinner where the fans were very vocal, ate/drank well, and trashed the opposing team (River) non-stop. The experiences in Tandil enriched our Argentina experience and we are once again grateful to the Rotarians and host families for their generosity!